NARS worked with celebrity makeup artist Emi Kaneko to create the 2016 Met Gala makeup look for Chloe Sevigny, who attended wearing Simone Rocha. Please see below for more details and the products used to achieve this look. NARS worked with celebrity makeup artist Matthew Van Leeuwen to create the 2016 Met Gala makeup look for Lea Seydoux, who attended wearing Louis Vuitton. Please see below for more details and the products used to achieve this look. NARS worked with celebrity makeup artist Monika Blunder to create the 2016 Met Gala makeup look for Juno Temple, who attended wearing Erdem. Please see below for more details and the products used to achieve this look. NARS worked with celebrity makeup artist Sarah Tanno to create the 2016 Met Gala makeup look for Lady Gaga, who attended wearing Versace. Please see below for more details and the products used to achieve this look. 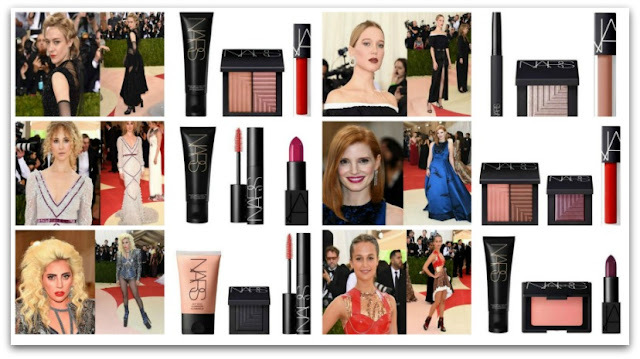 NARS worked with celebrity makeup artist Jeanine Lobell to create the 2016 Met Gala makeup look for Jessica Chastain, who attended wearing Prada. Please see below for more details and the products used to achieve this look. NARS worked with celebrity makeup artist Georgie Eisdell to create the 2016 Met Gala makeup look for Alicia Vikander, who attended wearing Louis Vuitton. Please see below for more details and the products used to achieve this look. 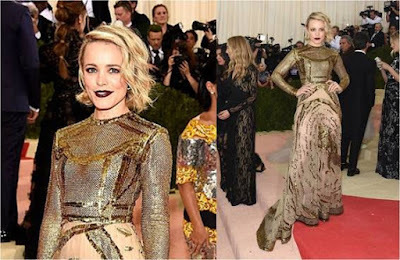 NARS worked with celebrity makeup artist Kayleen McAdams to create the 2016 Met Gala makeup look for Rachel McAdams, who attended wearing Valentino. Please see below for more details and the products used to achieve this look.